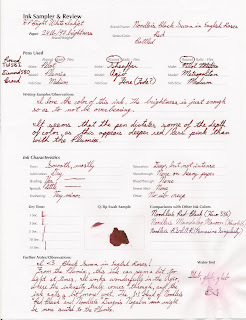 Built from Ink and Tea: Stained Fingers on Thursday - Noodler's Black Swan in English Roses Ink - Re-uploaded again! Stained Fingers on Thursday - Noodler's Black Swan in English Roses Ink - Re-uploaded again! 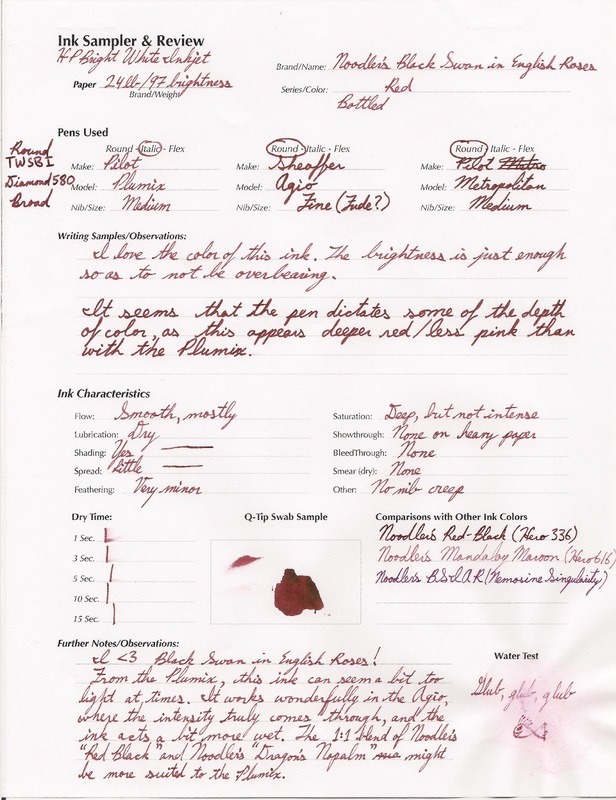 I am uploading this review yet again to show the addition of a TWSBI Diamond 580's broad nib into the mix. It is a wet writer, and the shading with this ink is beautiful. This review was scanned at 600dpi on an HP Deskjet F4280. I've heard that this ink dries rather brown, but it looks lovely in your image! I've been trying to decide between this one and the Australian Roses version--clearly I need more samples to play with! If you prefer more of a burgundy, I recommend Australian Roses. For a brighter red, English Roses satisfies, and I would not say that it dries with much brown tone.